It is a silence you can almost feel. 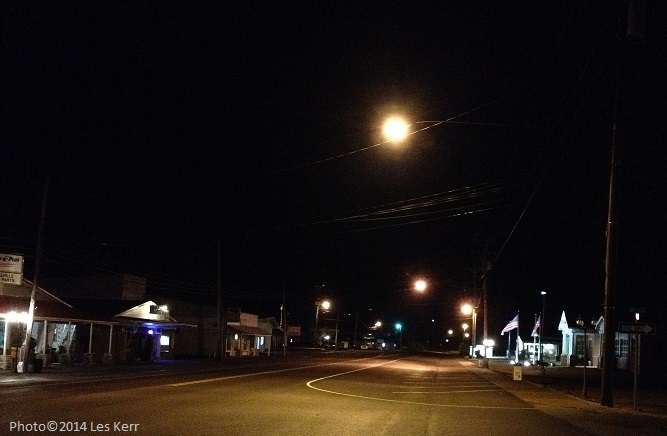 A winter night on Tennessee State Highway 13 lends itself to quiet during the ride from Linden to Waverly. After three hours of hearing my own voice through a PA monitor speaker, I appreciate that silence. If silence speaks, it does so on cold January nights along this two lane road. I am always ready to listen. Sometimes, there is a Hank Williams moon sliding behind a cloud so no one can see its tears. Other times the moon is a bright white sun lighting up the countryside and my spirits. After making these periodic trips for about five years, I can almost tell without looking when the speed limit sign will suddenly declare “30 mph,” and when the more palatable “55 mph” will ring loudly on a glorious black and white rectangle clinging to the road’s slim shoulder. Around 10:00 p.m. as I approach Lobelville, about half way to Waverly, most people there are settled in for warmth on a cold night. Not much traffic for the thirty-mile-per hour speed limit to slow down. Soon, I leave Perry County and cross over to Humphreys County, knowing that my fling with silent darkness is coming to an end. The green and white Buffalo (Unincorporated) sign signals the last few moments before I reach Waverly and Interstate 40. The quiet two lane gives way to fast food restaurants, motels, so-called travel centers and signs pointing the way to Loretta Lynn’s Ranch at Hurricane Mills. I point my 4-wheel gasoline-powered buggy east toward Nashville and home. Click here to visit Les Kerr’s web site, hear his music and follow on Facebook and Twitter. Click photo to enlarge. Text and photo copyright 2014 by Les Kerr. This entry was posted in Uncategorized and tagged Hank Williams, highway, Humphreys County, Les Kerr, Linden, Lobelville, Loretta Lynn, moon, Perry County, silence, speed limit, Tennessee, Tennessee State Highway 13, two lane, Waverly. Bookmark the permalink. Everytime I recieve your letters you are Bumped up from the prior one. I love that…”Hank Wiliams moon.” What an image. If you were in my writing workshop I would applaud you! That means a lot to me, Amy. Thanks! Nice to ride witcha down dat road. Thanks. Thanks, Shannon. Nice to have you along!